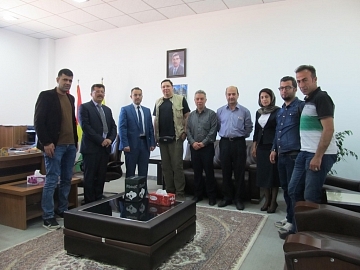 Professor of the Department of Ecology, Biochemistry and Biotechnology at Altai State University, Doctor of Biology Roman V. Yakovlev and postgraduate student of the Faculty of Biology Alexander A. Fomichev visited one of the youngest universities of Iraq located in Zakho in the framework of their expedition. Currently, the University of Zakho appears to be a large cluster of administrative buildings and dormitories. It is planning to build a stadium and several big laboratories in the next 5 years. All these projects were demonstrated to employees of Altai State University. 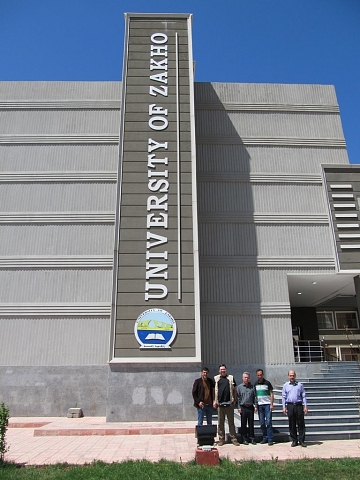 Over 5,000 students study at the University of Zakho. The university consists of several units: the Faculty of Science, the School of Arts, the Faculty of Education, the College of Engineering, the College of Administration and Economics, and the Faculty of Education. University laboratories are fitted with up-to-date equipment, while the whole university appears to have modern infrastructure of new buildings. It is to be noted that entomologists of Altai State University are currently studying biological diversity of Iraq, one of the most understudied countries of Eurasia. They are planning to conduct research of 4–5 sites on the borders with Syria, Iran and Turkey.